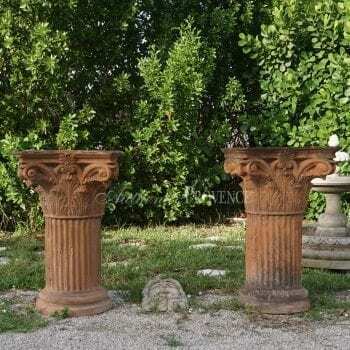 A pair of corinthian column fragments with distinct proportions and characteristic profiles. Wear consistent with age and use. 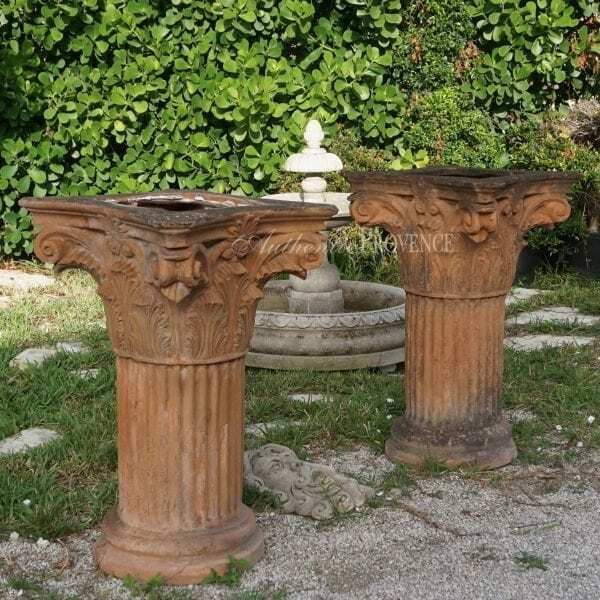 Circa mid 19th century, Provenance an estate near Fiesole, Tuscany. 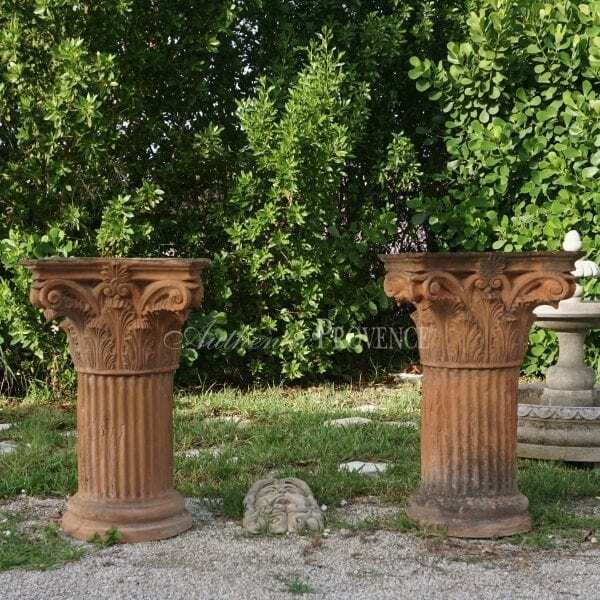 Categories: Architectural Elements, Columns. 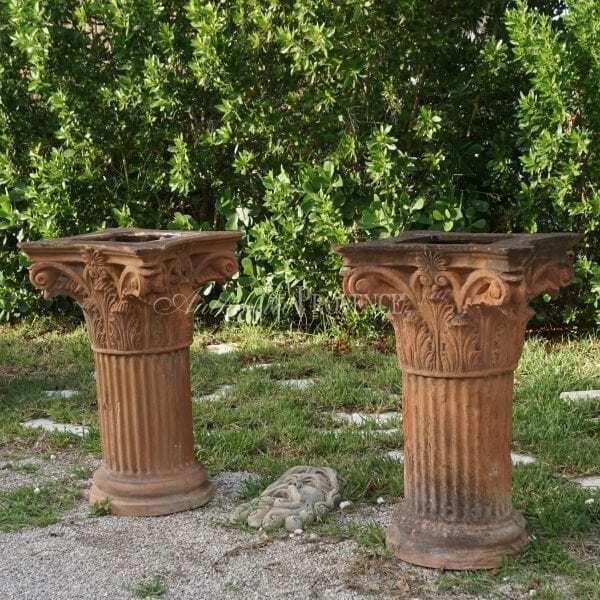 Tags: 19TH CENTURY, COLUMN, ITALY, MID 19TH CENTURY, TUSCANY. 39.5 H in. x 26 W in. x 26 D in.